BiophysicsLab.com: A website supporting current projects for Biophysics Labs and other Scientific Research centers. This is a new site still under development. Fredericks Biophysics, Inc.: Entrepreneur and Process Control Engineer (8 years) for bulk food and manufacturing plants, creating highly disruptive technology that moved the industry forward. Received two patents in biophysics — one purchased by Boots Pharmaceutical for use in Quality Control and tablet/pill manufacture for milk QC Labs worldwide. Developed tensor math for aqueous component deep learning for products using my patents. Developed Lab Information Management software; integrated Process Control software and interfaces to makers of infrared spectrometers and somatic cell counters for labs, cooperatives, and food manufacturing plants. Sold systems to major brands in the United States, including Carnation, Nestle, and many others. Sold the company’s assets to a dairy herd management company and created a software support team from GE’s energy division to manage the technology transfer. First to develop FTIR (Fourier transfer infrared) spectroscopy for milk testing via BioRad platform for dairy herd management. Hands-on CTO for software and hardware projects along with a website still under construction. Hands-on CTO for an international Language Services Provider, brought into the company due to an entrepreneurial mindset in embracing innovation, as well as business acumen in understanding business drivers and urgencies and their impacts on corporate performance. Applied technical strengths in providing support, networking, website redevelopment, and data and information management services. Implemented, with team support from language service experts, in order to convert existing spreadsheets and a fragile legacy database into an online workflow for employees, partners, and customers. Used Amazon AWS RDS and S3 cloud services, along with Python, as the glue to connect data and services during system integration. Created new web services using free and open source software, when appropriate. Designed a video training program to ensure quick onboarding of required cloud skills for new staff. Taught team leads to create their own videos for sharing across the global organization. Developed a project plan for MIS staff to convert an unreliable and unsupported legacy office network, using a low-cost cloud strategy. Mitigated risk, coupled with a new local NAS storage RAID 5 system for improved performance, in order to achieve massive and redundant storage and to support virtual desktop applications. Launched an open source corporate site, using WordPress on a LAMP stack. Deployed plugins to support required content types, such as audio player and a backup tool. Created a child theme to use as a development environment, with a seamless push to the top directory for public viewing. Founded a video production company to help businesses rapidly adapt to new technologies via high-quality online video lectures and streaming live events. As a serial entrepreneur, provided the vision, the leadership, and the development discipline to execute on the business strategy. Established product marketing, branding, and messaging to gain a clientele that included such leading companies as Motorola, Pall/ForteBio, Revolution Analytics, Tyco Electronics, Medtronic, and OpenFabrics Alliance. Created a live newsroom environment with self-service capabilities that enabled clients to integrate live presentations with PPT slides or PC screen capture to create a high-quality final video, with or without a teleprompter and with no editing; streamed directly to final mp4 or FLV video formats. Solved the business case behind real-time video streaming technology for small businesses, using eCommerce, secure access, digital rights management, analytics, a new technology for SEO of video content, and big file uploading from server to desktop and responsive mobile front-end use. Established two user groups to support the newly emerging “massive open online courses” (MOOCs) on LinkedIn and Facebook. Spoke at Stanford University about best practices for developing MOOCs. Led a venture-funded engineering team project, as their CTO, for a children’s eLearning initiative, with Architecture Design, WordPress CMS, MySQL, RESTful Web Services, capitalization management, and patentable prototypes. Part of an Agile/Scrum web services team to coordinate mobile phone application developers for our new handsets and smartphones. Delivered services that included software development tools for developer download, tech support coordination, as well as events held around the globe. Scaled website functionality to meet the needs of an explosive market, gaining nearly 1M active users in only 2 years. After conducting an internal assessment of the business processes and an external review of the marketplace through industry analyst reports, identified a consistent loss in market share to our competitors. Presented a new market opportunity to management, using technology from real-time embedded operating system vendors that could leverage Motorola’s smartphones to reach new audiences. Certified in Six Sigma (Green Belt) through Motorola’s Digital Six Sigma (DMAIC) process. Led new web service initiatives, using Architecture, UML, REST, and Virtual Platforms with Sun’s VirtualBox and VMware Workstation tools, phpList email code base, Lithium Forum interface and SSO, Perl, PHP, AJAX, and Smartphone development platforms for Android and Mobile Windows. Executed a strategy and planned the roadmap for the launch of the MOTODEV online software developer ecosystem, following Agile/Scrum Motorola’s Digital Six Sigma process. Launched and maintained a developer website to support my vision for a collaborative Marketplace where buyers, sellers, and enablers of embedded components could meet and share experiences. Traveled worldwide to learn about emerging web services for online automated distributor relationships. Created a newsletter to attract new visitors, resulting in over 10K registered users at significant companies worldwide. Designing and deploying a back-end service to understand site usage in order to alert the sales team to potential opportunities. Simulated in-person sales calls. Authoring a Flash tool that converted PPT slides and audio into a video player, all wrapped into a series of blog posts. Crafted a unique search engine to easily locate video presentations. Within a leadership role, worked with an embedded system component vendor (Visuality Systems, in Israel) to lay the foundation for an innovative solution — the use of a router as a file storage/media player. Demoed a standard embedded system board, hard disk, and router to validate the viability of developing an Internet protocol for file system sharing across devices, based on Microsoft’s CIFS standard. 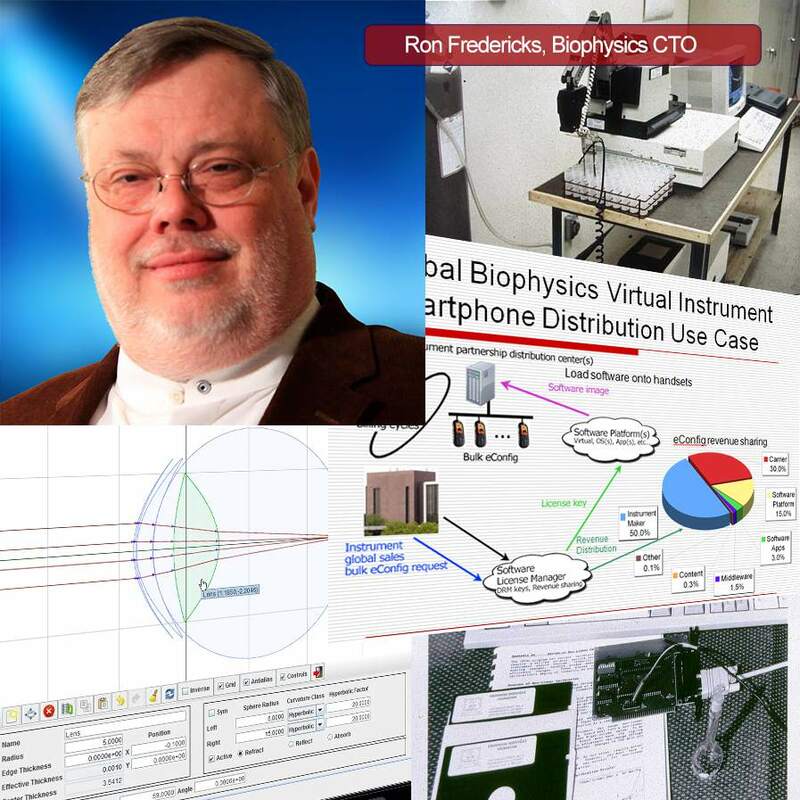 Technologies used: VxWorks operating system, VxWorks Network Stack, and C.
My findings were used to gain funding for further development through the BIRD foundation, a cooperative research and development effort between the USA and Israel. Served as the U.S. Country Manager for all CIFS sales, in the US. Generated new interest in the embedded systems community, evangelizing at events, leading discussion panels, writing articles, contacting and converting prospects to sales leads, and working with CEO to close large deals. Launched component sales beginning with operating system vendors, and then closed a distributor deal in Japan. Led a cross-functional team in the design of a social network for an embedded software company specializing in intelligent connected systems. Received a “Navigation Award” from company’s CEO for a unique community management project that was also recognized by the industry as the first embedded online BSP Resource Center. Proposed the project as a community service, and gained approval. Provided leadership while coordinating marketing and engineering teams in the creation of a large volume of technically accurate content for an interactive web application. Delivered a web service that included easy validation regarding the compatibility of the partner’s environment, thus accelerating the sales process. Traveled the globe, utilizing a persuasive communications style to grow the strategic partnership program. Created and managed over 500 sales channel partnerships for the networking, automotive, industrial, medical, and avionics industries. Developed new joint sales opportunities working with 1000s of partner embedded components, software tools, middleware, device drivers, silicon on-chip, ASIC, as well as hardware platforms using Wind River’s line of operating systems. Solved application integration problems with VxWorks Real-Time Operating System, FreeBSD, Debugger, C/C++, and IDE. Participated in direct sales, resulting in an Israeli startup company reaching out to Motorola, in the USA, for a $1M global sale. A pioneer in creating social communities and collaborative experiences. Technical Editor for Global User’s Magazine: DECUS Magazine, the first open source initiative to take in and publish new software contributions and sponsor meetings at local chapters around the globe. Technical Editor for a Software Developer’s forum and newsletter. Met with IT leaders, on a near daily basis, to support special interest groups in all forms of IT from C/C++, Java, Technical Marketing, Business Intelligence/Data Warehousing, and many more. Received a community service award for contributions.